I give too many public and science talks to list them all here, but here are a few that are either notable or viewable on the web. In October 2012 I gave a talk at ScienceWriters2012 titled Dark Energy, Zombie Stars and How Robots Control the Future of Astronomy. Here's my bio, and at the Council for the Advancement of Science Writing you can find an abstract and the slides from my talk. 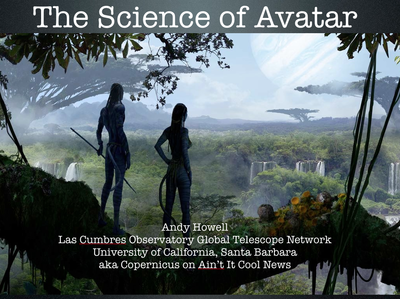 In 2011 I gave a talk at the St. Louis Science Center for Scifest on The Science of Avatar, based on my AICN article [pdf]. In 2012 I gave a talk at the St. Louis Science Center on What Would Life on Other Planets Be Like, with a Star Trek theme [pdf]. I've given a few talks on Filming an Astronomy TV Show, both at Scifest and the St. Louis Science Center. I've given talks on New Types of Stellar Explosions and Their Progenitors several places, most recently Leiden, Netherlands. 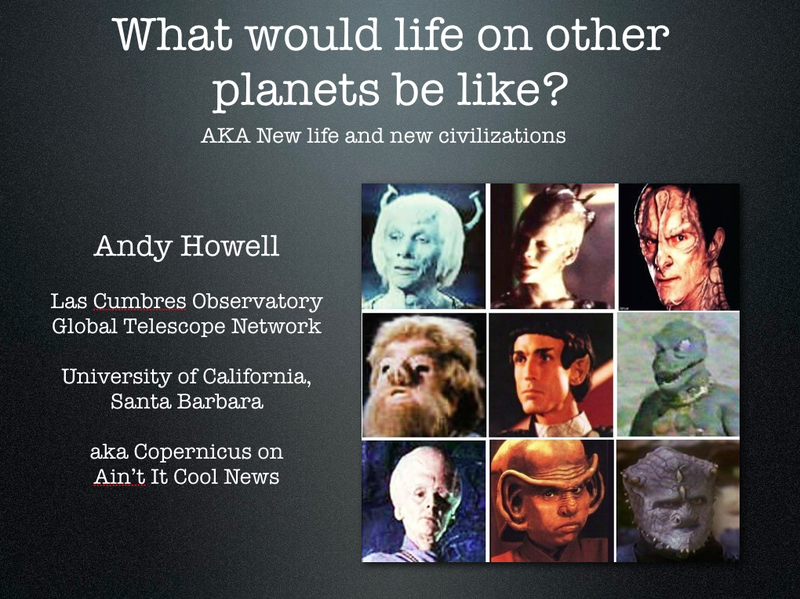 I have a talk on the Las Cumbres Observatory Global Telescope Network. I have a lecture on Global Warming that I give in my class and have given publicly. At the 2008 American Astronomical Society Meeting in Austin, I helped to mastermind a screening of Real Genius where we gave out lasers, exploded popcorn onto the audience. 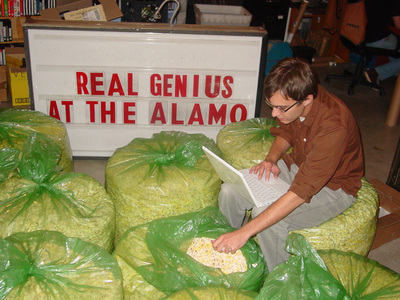 At the 2012 AAS meeting in Austin, I hosted an event called: Hollywood B.S. : Armageddon where we tore apart Armageddon. KITP 2009: What the hell is this? KITP 2007: Is the brightest SN Ia really super-Chandra?